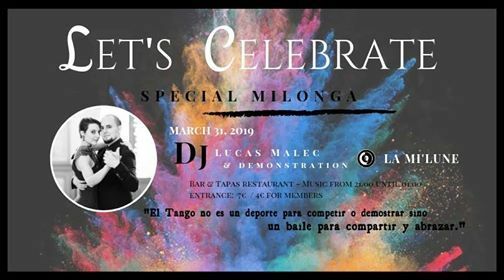 LET'S CELEBRATE ? March 31st ? The end of this Tango session@la Mi'Lune ! 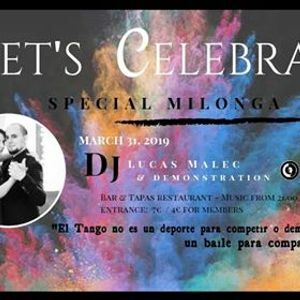 10.30pm - Demonstration of Déborah Van Cauter & Lucas Malec "Tango is not a sport to compete or demonstrate but a dance to share and embrace"
1"01' am - AfterTangoParty ?